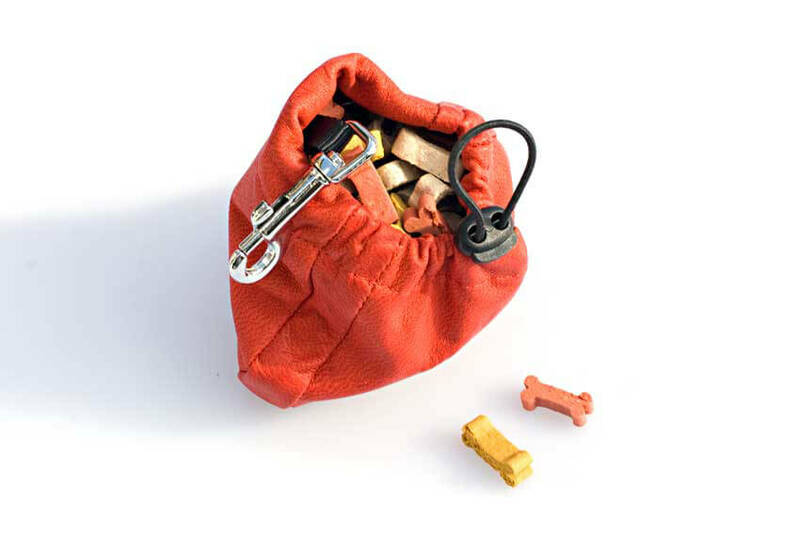 A useful accessory for dog agility and dog training days. 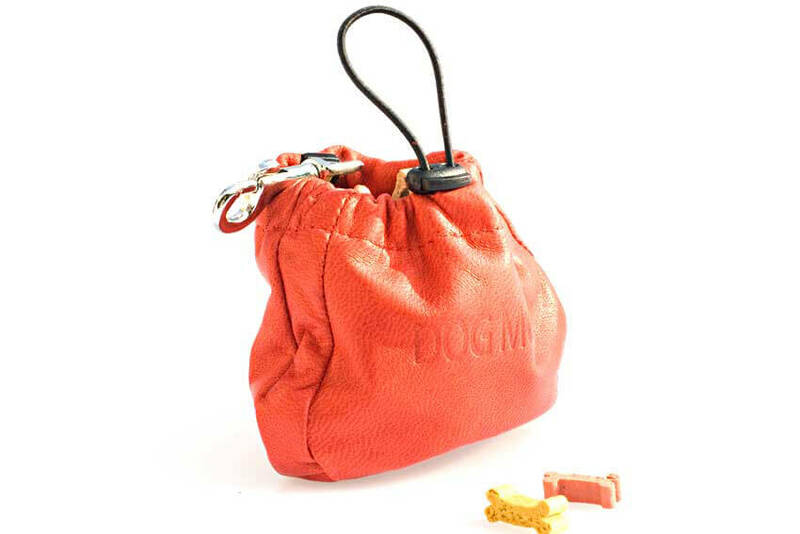 This handmade from soft red leather clip treat bag is fully lined with washable waterproof lining to keep treats fresh and your clothes dry. 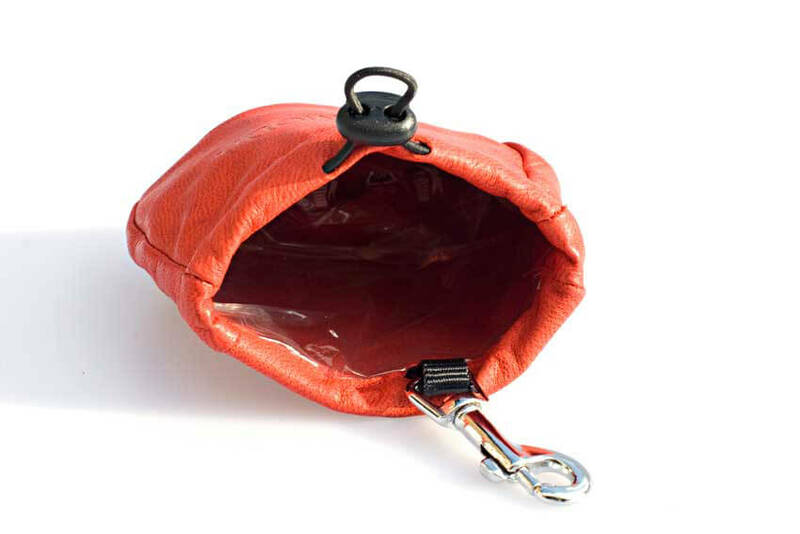 It has a toggled drawstring for quick and easy access to treats. Leather clip-on dog bait pouch is complete with strong lobster clasp to attach your dog training bait bag to any belt, trousers or bag. 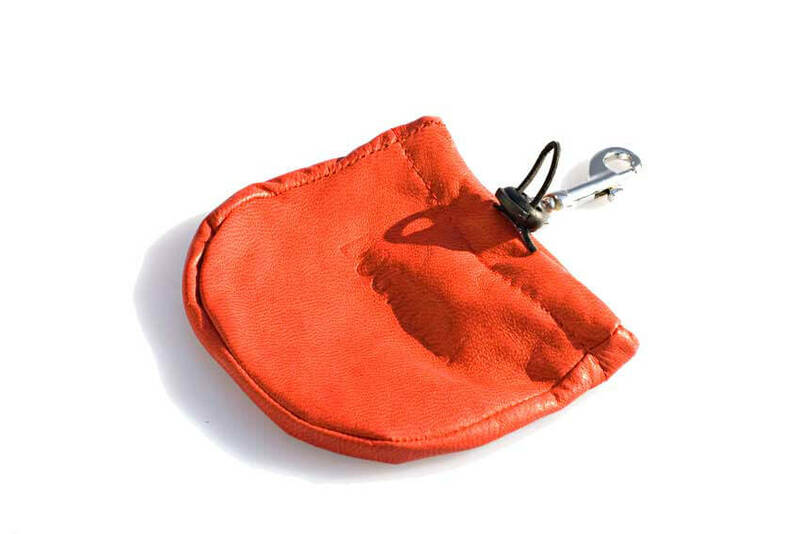 Can be personalised at extra cost with your own initials, any text or numbers to create a custom message. We recommend up to 8 characters, please get in touch to discuss your requirements. 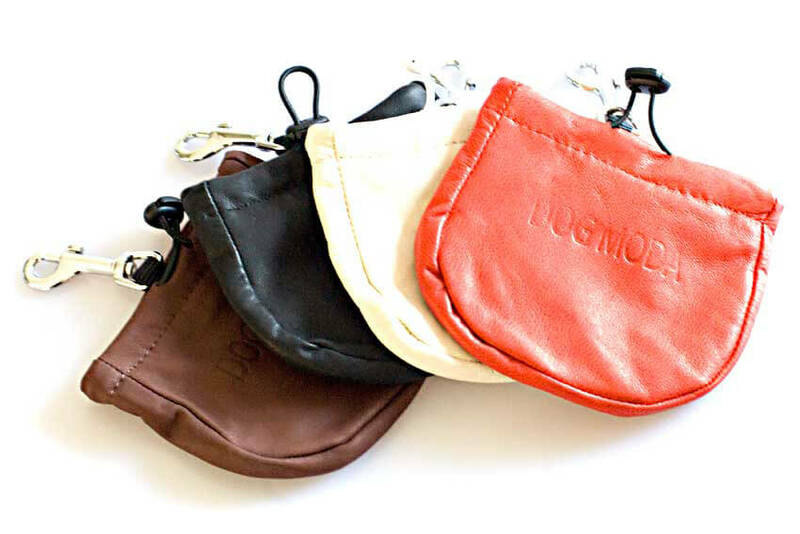 The clip-on bait pouches are also available in black, brown, red, orange, white, pink, gold and silver. Absolutely delighted with this treat bag that I had to buy another one in red. 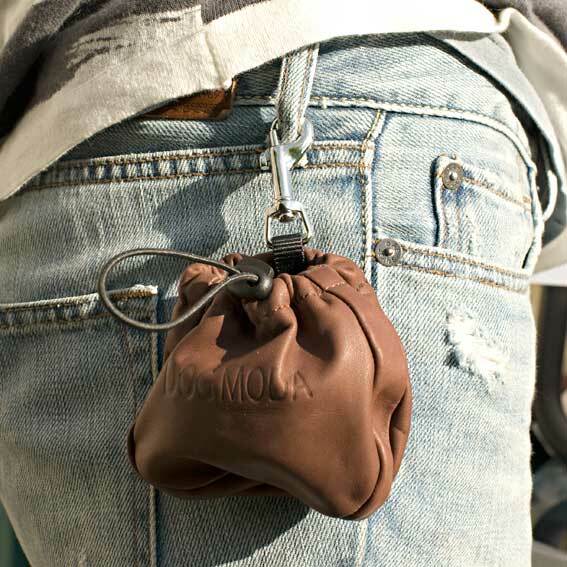 Great treat pouch, which I have been unable to find at dog shows.